Some time ago I was looking through Facebook when one of the online posts caught my attention. It was an old robot for sale which looked very familiar to me, a child of the 1980's. It was Gaiking. Though the robot never got any local airtime in the 1980's, most of us Gen X'ers would be familiar to it as toys were available in select shops in Manila. 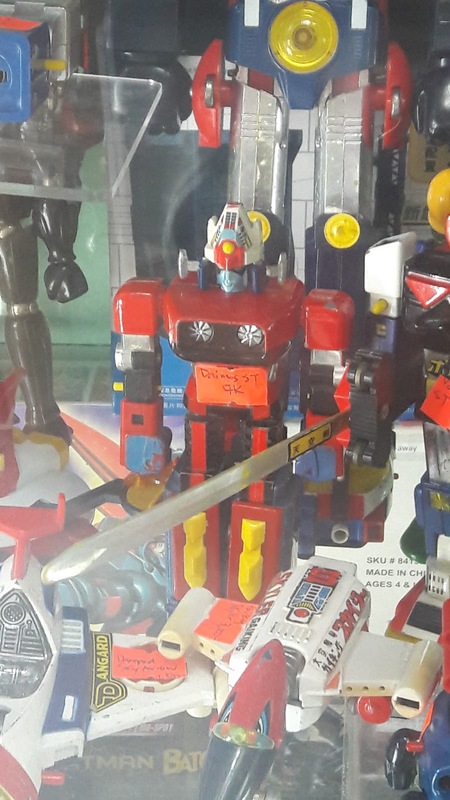 I myself remember getting a shogun warrior version of Gaiking in the old Anding's toy store in Tabora Street in Divisoria and everytime I would go to Central Market, Cartimar and Zurvaran I would swoon over the toy displays of Voltes V, Mazinger Z, UFO Grendizer and Getter Robot (which I thought was named Geta Robot). My mother, who was very frugal, only got to buy me a handful of this. I remember getting the first series of the Shogun Warriors including Getter Dragon, Grendizer, Getter Poseidon, Gaiking and Combattler (which I thought was named Combatra 5). I got each one of them on different occasions through my childhood years. I wanted to get the very nice 'voltable' Voltes V. but of course I figured my mom will not part with the whopping 500 pesos for all 5 Voltes V vehicles (100 pesos each in Cartimar circa 1981). The shogun warriors were sold cheap at 25 pesos each, that is why it was more reasonable for me to ask for all five of them. I wore those die-cast toys out till the plastic joints broke off. I even asked our maid to drive nails onto the plastic parts to replace the broken joints just to make them look whole again. I recalled also getting a larger die-cast Getter Leiger for one birthday, a plastic Macross-Gerwalk and a plastic doll knock-off of Getter One (similar to the vinyl versions of the robot) made in China. Then my obsession for them was abandoned in favor of Lego and Playmobil. When I saw the Facebook post, I clicked on the details and next thing I knew I purchased the Gaiking. That was months ago. Today I am looking at my new Gaiking, I have it on a shelf in my bedroom. And it is already alongside a few more robots of my childhood like Mazinger Z, Getter and Daimos. 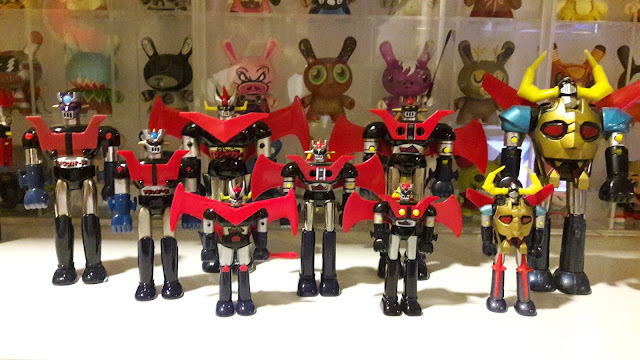 I still could not afford Voltes V though (which is now far more expensive than its original 500 pesos price). 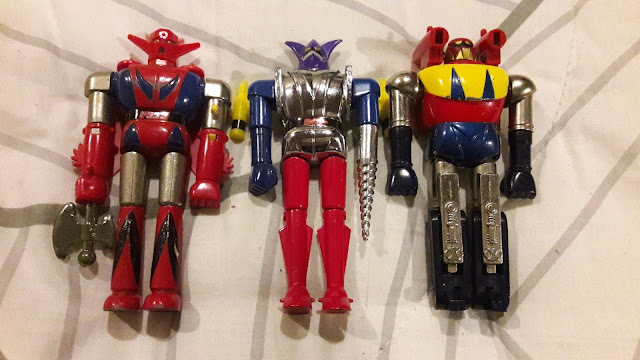 I myself got the robots at a much higher price than the 25 pesos they were in my childhood. But these ones will be there for me to appreciate visually and would not be probably worn out by play. I know my childhood toys were much worth the price they were paid for but I would have to contend myself looking at these ones to remind me of my childhood robot memories. Gaiking on the far end is now in company with my Mazinger Z collection.